This course is the perfection introduction to the world of officiating. With specific focus on the stroke and let rules, this 45 minutes course is the ideal informal setting to get to grips with the basic calls of the game. Scottish Squash have developed a 3 hour course for new referees. This is the official first step to becoming a qualified referee. This course is the pre-requisite for the Grade 3 Refereeing Assessment and Qualification. A Grade 3 Referee is the first level of a qualified referee in Scotland. In order to become a Grade 3 qualified Referee individuals should have the following pre-requisites. At this stage candidates are ready to be carry out the practical assessment to become qualified as a Grade 3 Referee. Candidates will be assessed by a Scottish Squash recognised assessor at specific competitions. Two assessments are normally required for an assessor to determine whether the candidate can achieve their Grade 3 Refereeing qualfication. There is no ongoing assessment to remain as a Grade 3 qualified Referee. A Grade 2 Referee is the middle level of a qualified referee in Scotland. In order to become a Grade 2 qualified Referee individuals should have the following pre-requisites. At this stage candidates may be ready to carry out the practical assessment to become a Grade 2 qualified Referee. Candidates will be assessed by a Scottish Squash recognised assessor at a specific level and specific competitions. Two assessments are required to be passed to gain your Grade 2 Referee qualification. There is no ongoing assessment to remain as a Grade 2 qualified Referee. 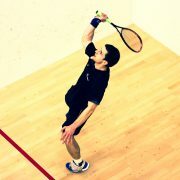 A National Grade Referee is the highest level of referee qualification delivered by Scottish Squash. in order to become a National Grade Referee individuals should have the following pre-requisites. A detailed log-book of matches that have been refereed during your development (Log-book template available here). Two assessments are required to be passed to gain your National Grade Referee qualification. There is an ongoing assessment to maintain the qualification as a National Grade Referee. Qualified National Grade Referees must be re-assessed every 3 years by a recognised Scottish Squash assessor.